Why move to Scotland? Well, we've got fresh air, lots of space, and a lower cost of living than many parts of the UK. And that's just for starters! 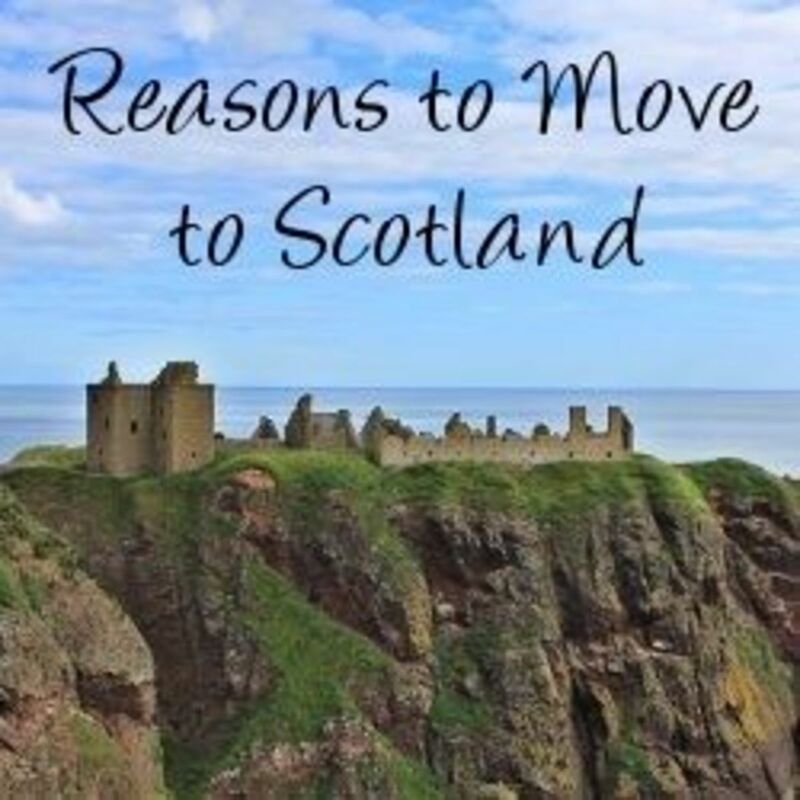 If you are thinking of moving to Scotland here are some good reasons to make the move. There are also some things to watch out for if you don't want to be hit too hard by culture shock. All the photography on this page features Scottish places and wildlife to give you a preview of a little of what awaits should you decide to move to Scotland... alongside a warm welcome, naturally! 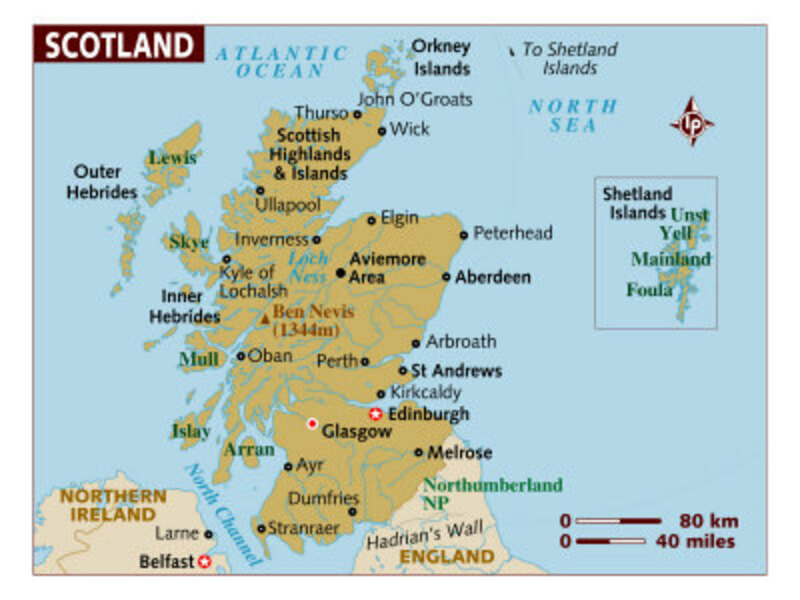 Scotland has a population of a little over 5 million. This is a smaller population than that of either London or New York City. Add to this the fact that most of the population is concentrated in the 4 major cities of Scotland (in order of size: Glasgow, Edinburgh, Aberdeen, Dundee) and in the 'Central Belt' region surrounding Edinburgh and Glasgow, and it becomes clear that there is a lot of open space! 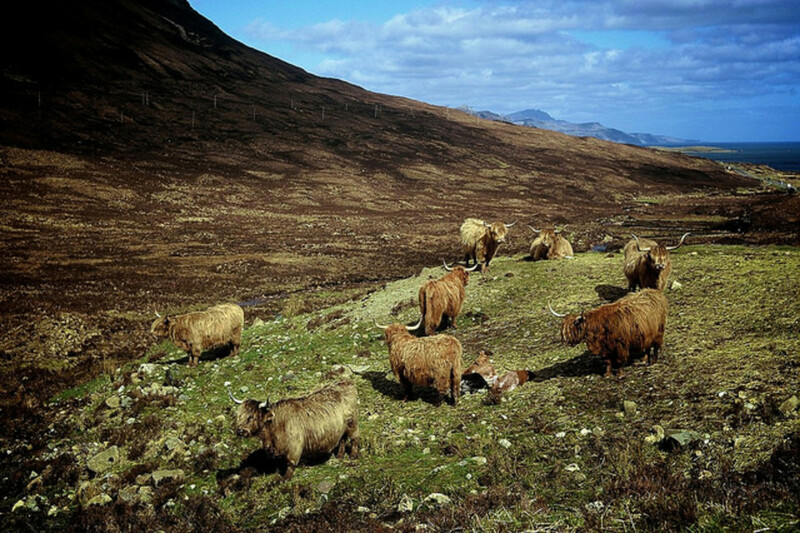 The ancient mountains that form the Highland region cover a large part of the country and while the hillsides are dotted with sheep the landscape here is little changed by human interference. National Parks protect the most vulnerable and beautiful areas: the Cairngorms National Park covers 4528 square kilometres (around 2814 square miles) and Loch Lomond & the Trossachs National Park covers a further 18565 square kilometres (270 square miles). If you move to Scotland, these parks will almost certainly be somewhere you will take the time to visit. The National Parks welcome nature lovers and are keen to encourage activities such as cycling, boating, and horse riding. 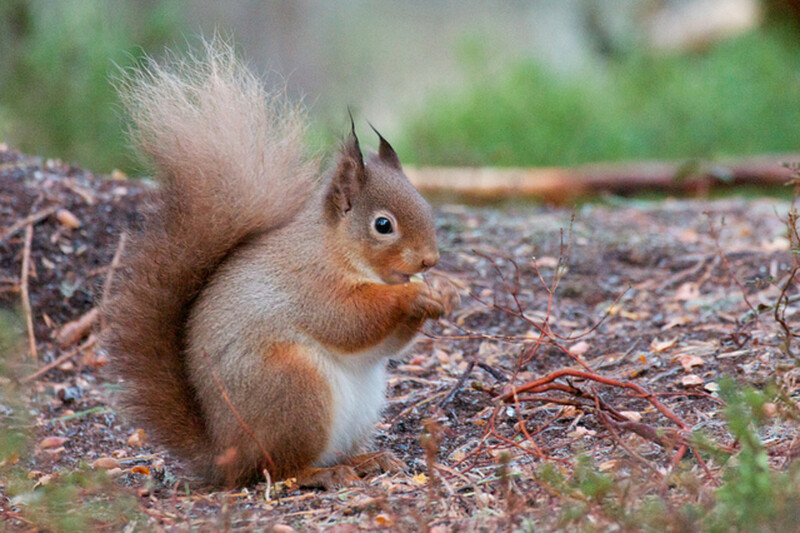 At the same time they protect the rare and unique wildlife of the region including the Scottish Wildcat, Red Squirrel (endangered in Britain), Osprey, Golden Eagle, Capercaille, Scottish Crossbill and Ptarmigan. 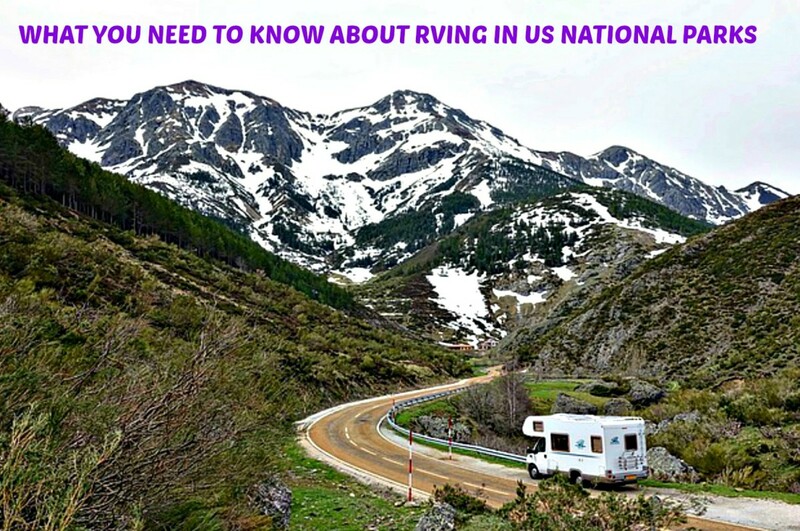 Beyond the National Parks you can still find vast areas of rural land. Even in the cities and more populated areas you are never far from green spaces. Scotland's capital city, Edinburgh, is bordered by the Pentland Hills which are a favorite of hikers. In fact the city itself is very hilly! Small and large lochs (lakes) are found just about everywhere. Scotland also has an extensive coastline, being surrounded by water on 3 sides, and has numerous inhabited and uninhabited islands with their own unique communities and landscapes. If you are an outdoors-loving person and happy to enjoy nature in fair weather and foul, a move to Scotland will be one you will not regret. 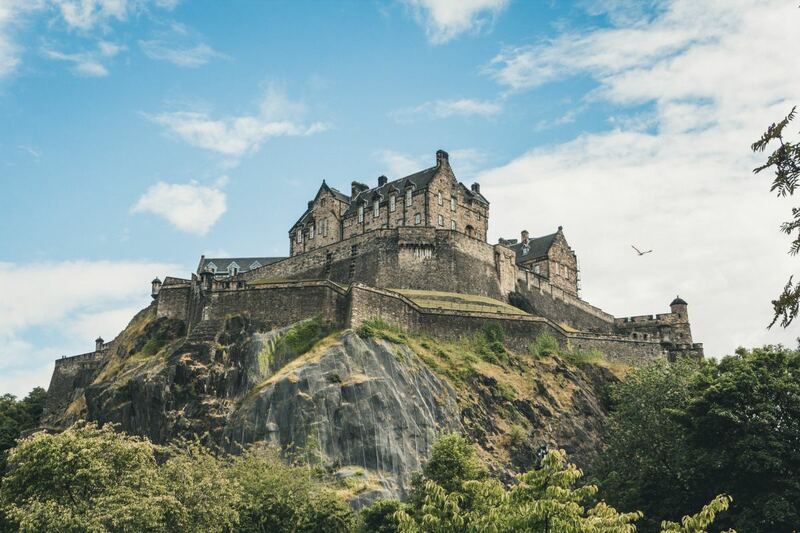 Considering a Move to Scotland? Are you likely to move to Scotland at some time in the future? Yes, I'm pretty certain a move to Scotland is on the cards. Not sure, but it would be nice if it did happen! Probably not, but I'd like to visit. How did I get here? I don't even like Scotland! 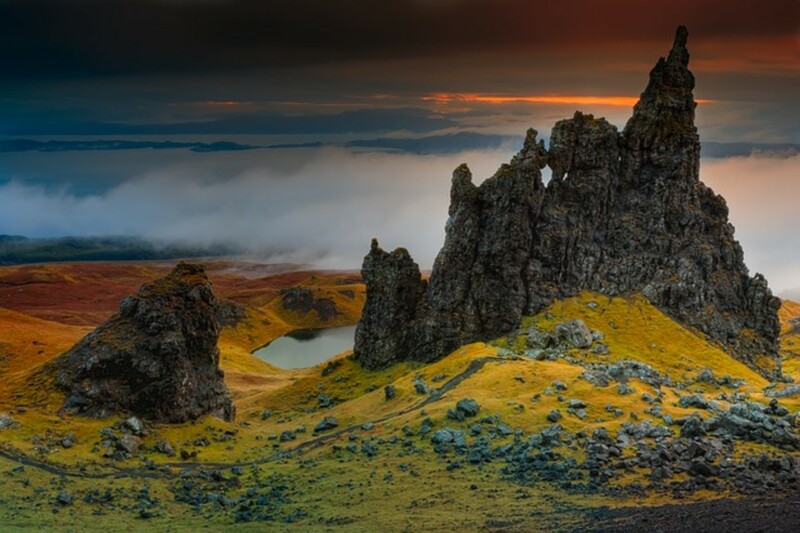 Scotland has long been known as a walker's paradise with its hills and mountains and still attracts many hikers and climbers. 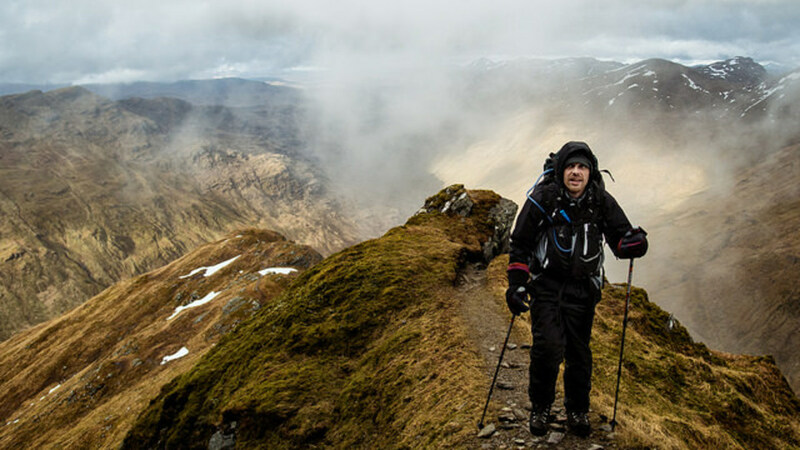 Reaching the peak of all 283 Munros (a Munro is a Scottish mountain over 3000 ft) is a popular goal. Scotland's mountains also offer the only significant snow sports in Britain with 5 Scottish snow resorts offering managed pistes for skiers and snowboarders. Winter sports in Scotland is not, however, for the faint-hearted! 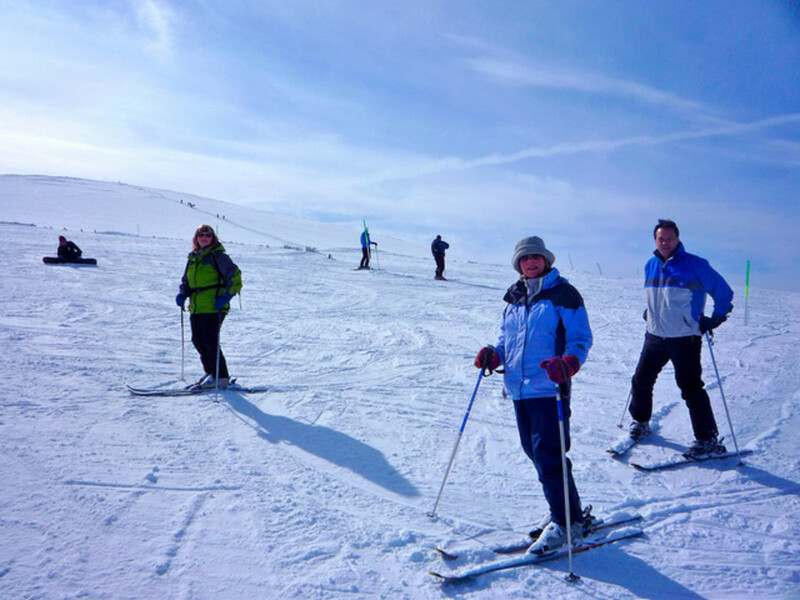 Being active will keep you warm but the Scottish weather can be unpredictable and good weather means the slopes soon get crowded. All the same, it can be simply beautiful up Cairngorm Mountain on a clear winter's day. 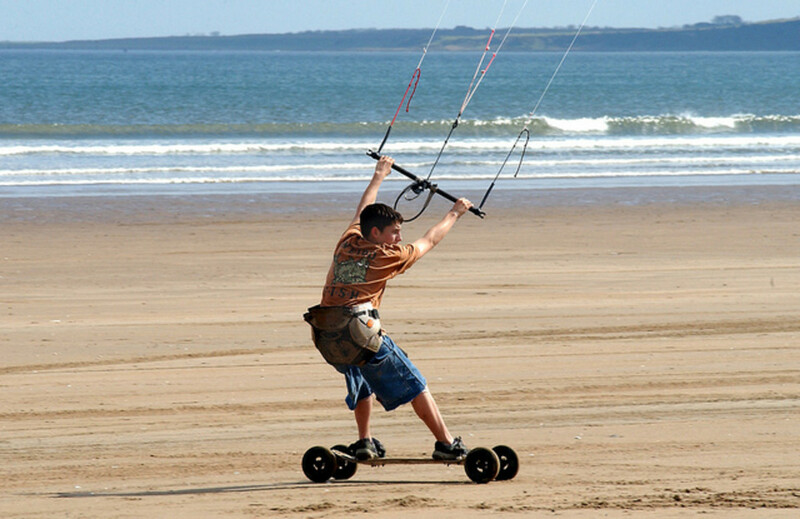 If you are fond of water sports you will also be spoiled for choice if you move to Scotland. Surfing and kayaking are popular activities along the Scottish coastline. There are some beautiful beaches on the East Coast, and the West has some spectacular coastal scenery. If you get the urge to take to the air, you can go paragliding in Scotland or can enjoy more traditional gliding lessons. You might even take a flight in a microlight to enjoy the Scottish scenery from above! You don't have to be an all-action type of person to have a good time in Scotland though. 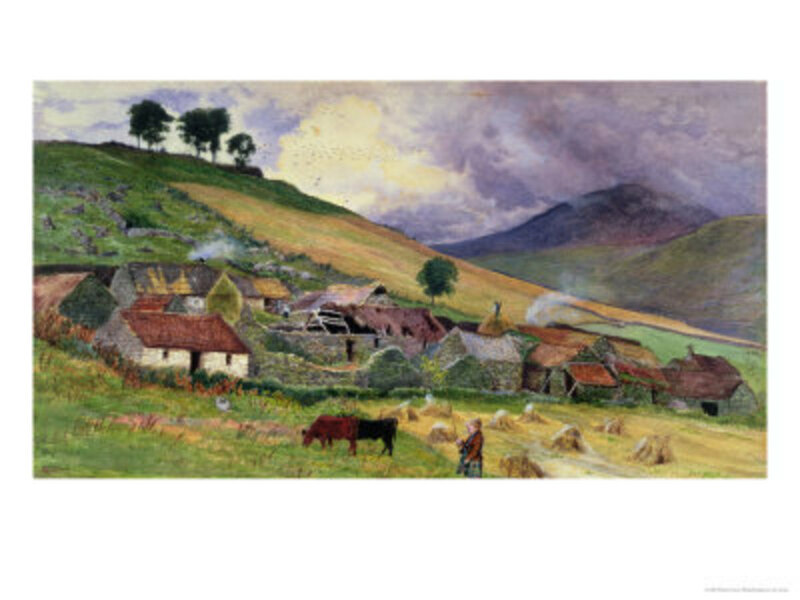 Many artists and photographers have been inspired by the landscapes and architecture, and pottery has also thrived. Scottish knitting too is world famous in the Arran and Fair Isle styles of knitting that were created in Scottish island communities. If you move to Scotland you will find reminders of the past all around you. This will be especially interesting if you have Scottish ancestors. Dream of seeing a Scottish castle? They are everywhere! Scotland has been the home of kings and queens for centuries. From the ruins of Dunfermline Palace where monarchs including King Malcolm III and his wife Queen Margaret (later Saint Margaret) lived in the 11th century, to Falkland Palace where Mary Queen of Scots was a visitor in the 1500s, to Balmoral Castle which was the retreat of Queen Victoria and is now the summer hideaway of Queen Elizabeth and her family, you don't have to look far to find a royal residence. If you are more interested in how ordinary people lived you can again find history all around you. Visit St Andrews for the medieval university buildings and little cobbled streets, and see where Patrick Hamilton's initials mark the spot of his gruesome death at the stake. In Edinburgh you can still see the shady closes and wynds (narrow streets) where Burke and Hare once carried out their murders, or visit the underground vaults. New Lanark World Heritage Site in the south of Scotland has a beautifully preserved cotton mill and social housing dating from 1786. 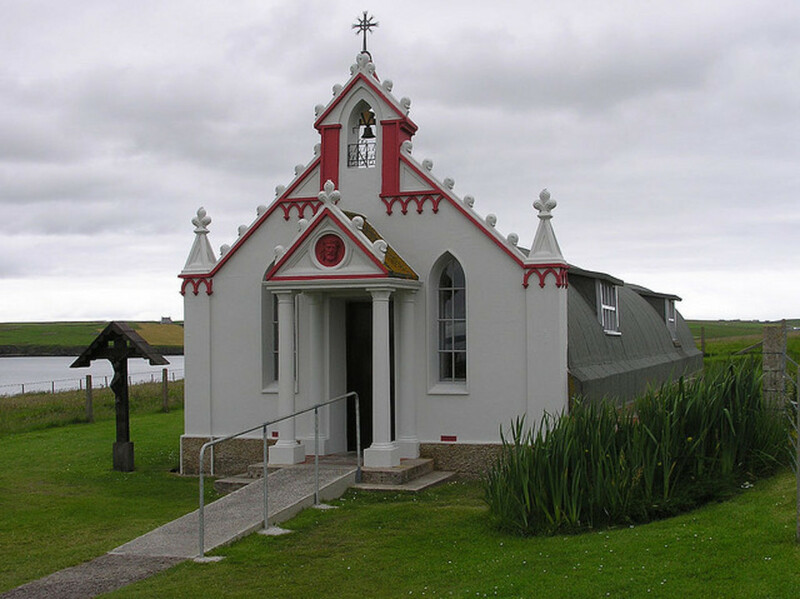 Read the incredible true story of the Italian prisoners of war sent to Orkney to work on building roads between the islands, and of the beautiful chapel that they created during their spare time. To travel back much further in time, go to the islands of Orkney in the far north where you can find standing stones and henges and the remains of a Neolithic village. Orkney was also colonized by the Vikings and once formed part of Norway! If your love of Scotland has been fostered by Scottish movies, you may be interested in visiting the grave of Rob Roy MacGregor in Balquhidder Kirkyard. 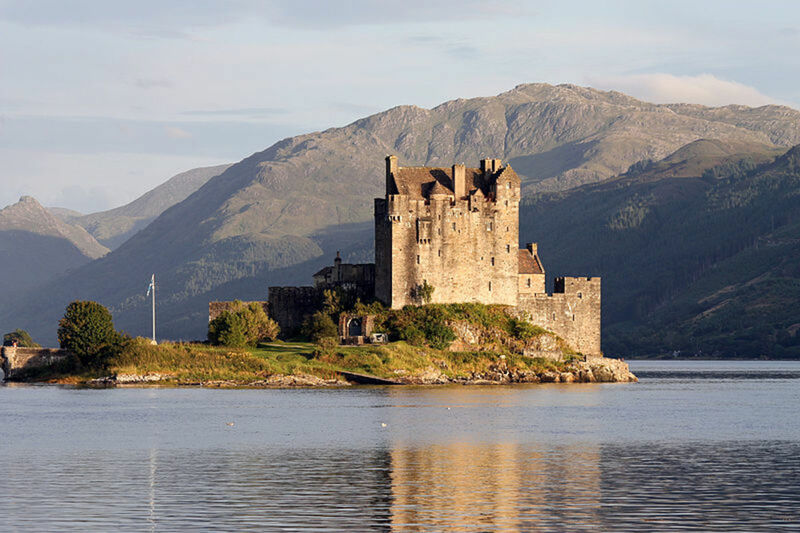 Many locations in the Highlands have appeared in films and the castle of Eilean Donan is particularly famous. You might recognize it from Highlander. 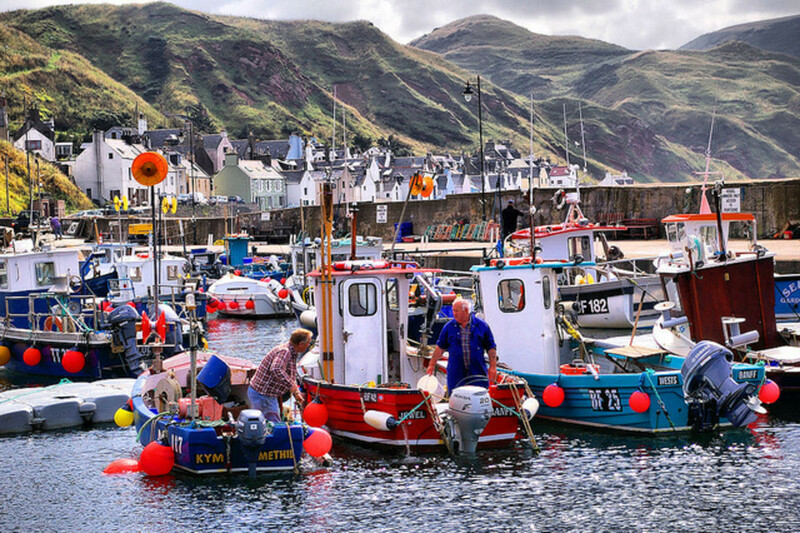 Depending where you move to Scotland from, you might not expect to experience culture shock. However, any change of country can bring with it a challenge of adjusting to a new way of life. Scotland has some wonderful local produce and it's definitely not all haggis and whisky, though if you are fond of those you have come to the right place! On the other hand, it is true that the Scottish have one of the unhealthiest diets in Europe. This is the land of the deep-fried Mars Bar (known as a Milky Way in America) and square sausages. Of course, not everyone in Scotland is a heavy drinker or has a diet of pies and chips (fries). It's as possible to eat a healthy diet in Scotland as it is anywhere, if you can avoid temptation. Personally, I blame all the comfort eating on the cold weather! How much impact the Scottish weather has on you probably depends on where you are moving to Scotland from. One thing to note is that Scotland is situated in the north of Europe and although it is in the UK its temperatures can be significantly lower than London, for example. The weather is also very changeable. There's a good reason why you'll hear Scotland being said to have '4 seasons in 1 day'! Although the skies are frequently overcast, you can get the occasional beautiful day with a high blue sky at any time of year, and then it seems there can be nowhere lovelier than Scotland. Two or three years ago the winter weather was very cold with deep snow, but this is unusual and had been happening across northern Europe. On the other hand, something that should be expected is the short winter days and long nights. Some days it feels like the sun forgot to come up at all. The long days in summer are of course a treat, though you will need good curtains if you need a dark room to sleep! You do not need to learn Scottish Gaelic to come here. Unlike Irish or Welsh, the language is not in common use and other than the odd sign in the northern parts of Scotland you may rarely encounter it. However, you will almost certainly need to pick up some Scots to understand the local dialect. This is not the same thing as Gaelic but is the Scottish dialect and may have local variations. Words you might recognize in Scots are 'bairn' for child, 'wee' for small, 'canny' for shrewd, and also the poetry of Robert Burns. I'm from England and it took me a while to understand everything said in broad Scots! For example, when someone is going for the 'messages' they are not checking the mail, they are going to get the groceries! Have You Packed Your Bags Yet? - Did I convince you to move to Scotland? Hi there:) I'm not moving to Scotland. Once I got a special gift thanks to you... so I'm dropping by :) Hope I find you well ... and happy! Yes, you did. Lovely place indeed! I would love to move to Scotland. I love the scenery and the history. Maybe some day I will be able to afford to move there. Don't need to move to Scotland - I'm already here! Lovely (and quite accurate) lens. I would move there in a heartbeat if I had the means. My goal is to work here until I can get enough money to move there. It will happen one way or another. I'm not looking for big city entertainment but would love to live in a town where I could get a job. I'm easy going and willing to work. I would be there in a heartbeat given half the chance, but I do hope that it will happen one day. @octopen: Thank you, and I'm sure you will get the chance one day! Lovely lens, I would LOVE to go and visit Scotland, it is a dream of mine. Maybe I will go there in the future?! Really beautiful lens! I'd love to visit but I don't think we'll be moving there! I'm not moving anywhere, but wow, what a beautiful and informative tour of Scotland! Loved reading it! Although I would like to move there it is a different story with my husband. he is a homebody and likes living here. Really great lens though, it has my heart beating. Very good article. Lots of great information about why Scotland is so great! 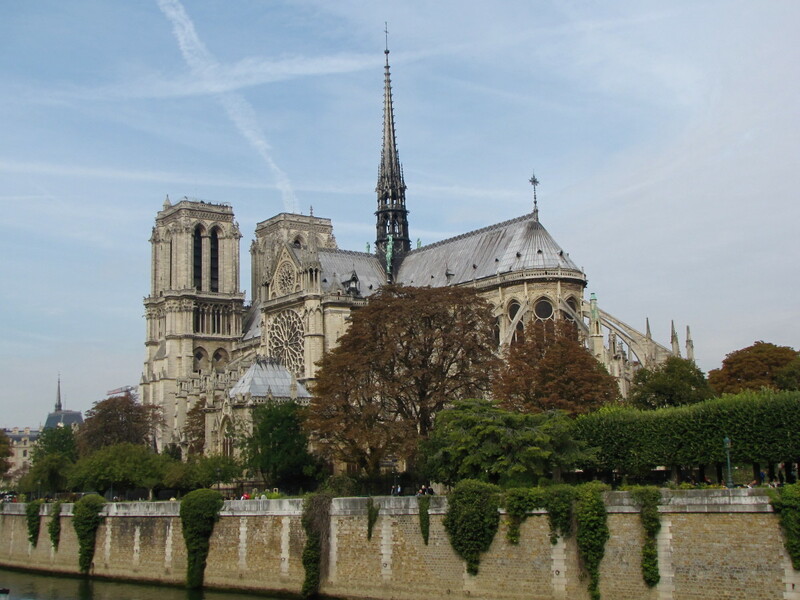 I was there once 30 years ago and hope to get back soon. Thanks! I've already done my time in Scotland. :) I do miss it though but life has moved on and we need to be further south for family reasons. Since I just moved to Savannah, Georgia, U.S.A. two weeks ago, I have no plans to move at all, at least in the 'near' future. But I do feel a strong 'pull' to visit Scotland someday, since my ancestors came from Edinburgh. 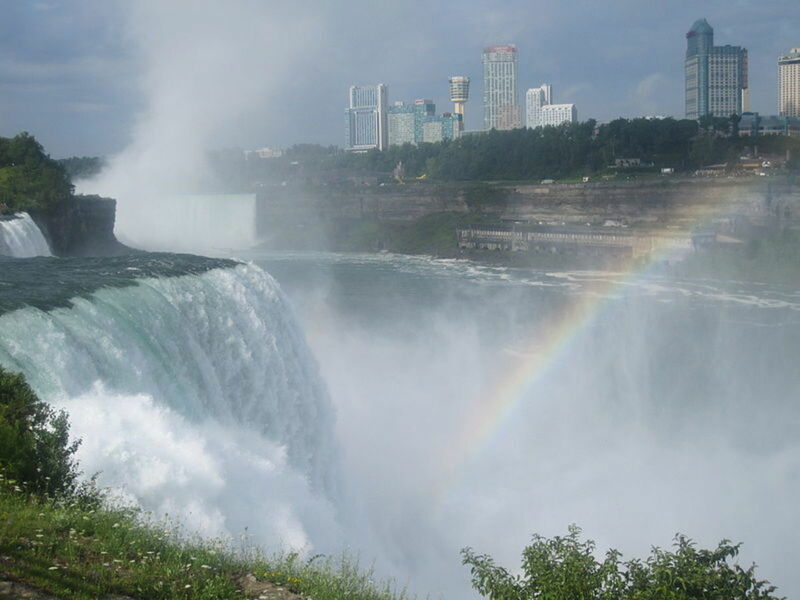 Your photos and descriptions here are very enticing! You don't need to convince me. I was born here and love it. Great lens! Well, I can be convinced, you know? Looking for new challenges, new opportunities, new places to visit. Send me a ticket! Lovely landscape. While I don't plan to move to Scotland, I would love to visit there! Congrats on a well-deserved Purple Star! enjoyed your lens, would sure be easier if I had family living in Scotland, nevertheless, great lens, squidliked it too! @Northern-Light: I think I probably skipped over those annoying little pests. ;) As to Independence... I wonder too. Might not happen, of course. @articol: I would LOVE to visit Orkney! Never been but I know there is the most amazing scenery, wildlife and history to be discovered there. I am hugely biased living in Scotland myself. But my favourite so far has been the Orkney Islands, highly recommended. Brilliant lense on Scotland, having spent the last few years seeing it all I will definitely second your argument to move here. I've packed up my things. Leaving tommorrow. Great lens! I would definitely like to visit Scotland, great lens! I love to travel, but i have never been to Scotland. I am however considering a move overseas, Scotland doesn't count as overseas though! Great Lens! That's a very descriptive lens about Scotland. I have never been there but Now it would be in my "To do list". Very well presented. Wow! Move to Scotland... never considered that possibility. I've visited Scotland. Some family from the Hebrides - name MacDougall. Are we related? Very nice job on this lens. Scotland, and St Andrews in particular, is fantastic. One day maybe, one day. . .
You did convince me and I think I would thoroughly enjoy living in Scotland. 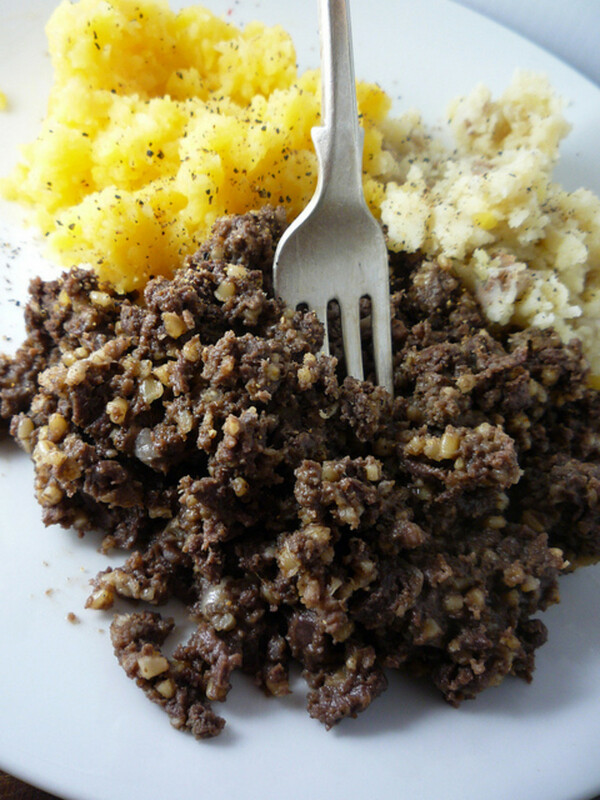 I already enjoy some Scottish food, so I should be ready! Great addition to the Jenga Tower. Well, if your lens is a sample, how could anyone not want to visit. My husband and I have talked about moving to Scotland forever. I just lost a dear friend from Scotland, too. Thanks for the lovely lens. Blessed by and angel. I never realized that Scotland was so beautiful! I really hope I can visit someday. I would love to see some of the spots you have described so beautifully in your lens. Beautiful country, beautiful pictures, great lens. I would love to go and visit Scotland. I have always had a very romantic notion of Scotland and would indeed love to visit at some time in the future. Your photos are lovely. Thanks for sharing! I would love to visit, but I probably can't move there for a variety of reasons. I've never tried to understand broad Scots, but my husband has traveled there on business and says that if he didn't know better, he'd think some of his Scottish colleagues weren't speaking English. Glad to see you at the Jenga challenge! I love Scotland- it touches one's soul. I have scottish ancestry and I would love to visit Scotland, But I couldn't live there. I could never understand those broad scottish accents. I had enough trouble trying to understand Susan Boyle!! I visited Scotland in 2009. Great place. I've always wanted to visit Scotland...coming from Montana though I won't be visiting it for its skiing or snowboarding! Okay, now you have convinced me. Scotland is now on my list of places I would love to visit. I never would have guessed that going to get the messages had anything to do with groceries. Wonderful 'ye did us proud Lass! Excellent lens - very enjoyable! I love Scotland. Once in Edinburgh we had dinner in a little pub, and after dinner they passed out song sheets and there was a singalong! It was great fun. Scotland is beautiful! I have to say that if I ever decided to move from my beloved US home, I would place Scotland in one of the two top places I would like to live. I would just have to have Amazon deliver my food :) I don't believe I have ever seen a lovelier country! I have never been to Scotland... but I now want to go more than ever! Wonderful lens! I enjoyed your tour of Scotland! Thanks for creating this lens! 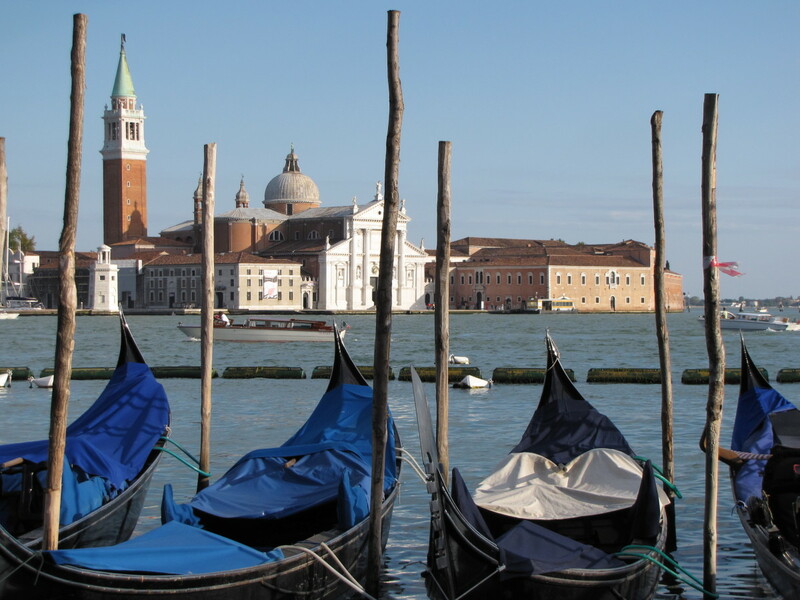 The only problem with reading lenses about wonderful faraway places is that it leaves me wanting. Oh how I'd love to visit Scotland and many other nearby places. Scotland is obviously a wonderful place to live! I think I would really love it there! I've been doing some research on my ancestry again the last few days and have a yen to visit Scotland and see where they lived. Lovely lens! I've never been to Scotland but would like to visit one day! In reality, I always dreamed of doing the one week train journey in Scotland, it's an amazing trip that lasts for 7 days and allows you to visit Scotland entirely. Crossing my fingers for soon to go to this amazingly beautiful country! Beautiful! As a Stewart married to a Paden, you might guess we have lots of roots in Scotland though our families have been in America for generations. 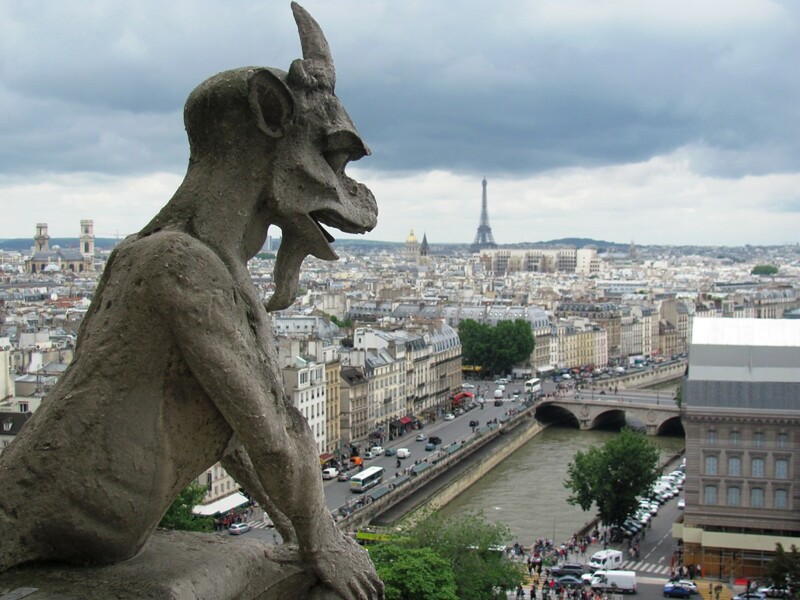 We'd love to visit! Fabulous! I have visited several parts of Scotland (Moffat, Aberdeen, Edinburgh, Shieldhill Castle in Biggar - hmm I need to make some lenses!!) 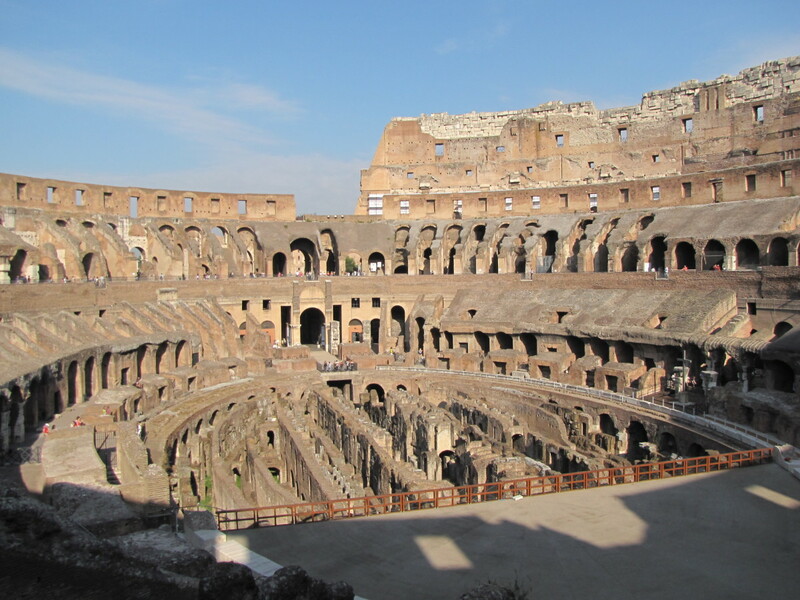 and there are countless more areas I want to visit still. most of all the Highlands. It is a beautiful country! Now that I have moved from the south east to the north west of England it is much easier for me to keep on popping up to take in the incredible scenery! Well you made me homesick! You never know, maybe I'll move back to Scotland some day. This is a wonderful journey through Scotland! I visited Scotland about 20 years ago on a Sales incentive trip from London. Stayed at Gleneagles and enjoyed a meal at Stirling Castle before our party was quickly evacuated due to some kind of bomb threat! We never did find out the details.Scotland is gorgeous.